If you have the option to jailbreak your iPhone 5S/ 5C/ 5/ 4S/ 4, or you just hesitate to jailbreak you iPhone or not. Read on, here are several reasons to jailbreak you iPhone and make your iPhone break up Apple’s control. It may seem mundane, but having the ability to rename your apps is kind of nice. Maybe you want to call Sparrow “Email” or change “Spotify” to “Music.” It’s so basic, it seems like something iOS should just let you do by default. But it doesn’t. You have to jailbreak to get that ability. 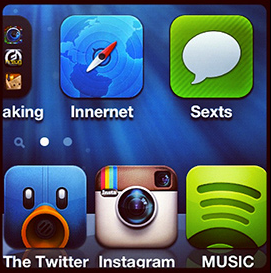 Jailbreaking also gives you more freedom over the organization of your apps. You can add an additional row of apps, adjust icon sizes and even add a more icons to the home screen’s dock, which is handier than it sounds. The fact that Apple won’t let you change your default browser is positively Orwellian. Browser Changer fixes that by letting you choose from several dozen different mobile browsers, including Chrome, Dolphin, Skyfire, Opera Mini and Atomic. This is now something you can legally do through your carrier, but jailbroken phones can tether their data connections to other devices at no extra charge (aside from the cost of the app). 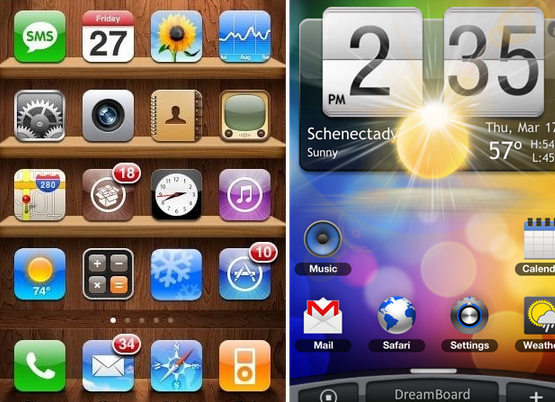 MyWi and TetherMe are both popular options in Cydia. Apple does a pretty nice job of polishing the way its mobile OS looks, but that doesn’t mean you shouldn’t have the option to change its appearance. Jailbreaking lets you do things like change the logo that appears when the device boots (vintage rainbow Apple logo anyone? ), change the lock screen design or overhaul the entire theme. If you ever wanted iOS to look like Android, now’s your chance. Since day one, running video game emulators has been popular among the jailbreaking set. On Cydia, you can find emulators for a number of classic video game consoles. These apps don’t come with games (called ROMs), so you’ll have to do some searching online or grab the EmuROMs app from Cydia. Note: It’s not always legal to download ROMs of video games, so proceed at your own risk. Solution: How to restart iPhone when power button is broken? This entry was posted in iPhone, Tips and Tricks and tagged advantage of jailbreak iPhone, benefits of jailbreak iPhone, iPhone break up Apple’s control, make iPhone out of control, Reasons To Jailbreak iPhone, why jailbreak iPhone by IosdroneD. Bookmark the permalink.